Business View Magazine interviews Vaughan Bassett, VP of Sales & Logistics at Pinnacle Renewable Energy, Inc., a sustainable energy business in Canada. Having no model that they could relate to, in terms of equipment and processes, the brothers experimented until they came up with the right combination of motors and dies in order to successfully extrude wood pellets from fibrous woody raw material. “They kept at it until they got something that worked,” says Bassett, “and that started the whole Pinnacle Pellet empire.” Today, the company operates seven pellet plants throughout British Columbia – Houston, Burns Lake, Meadowbank, Quesnel, Williams Lake, Armstrong, and Lavington – and one new plant, currently under construction in Alberta. 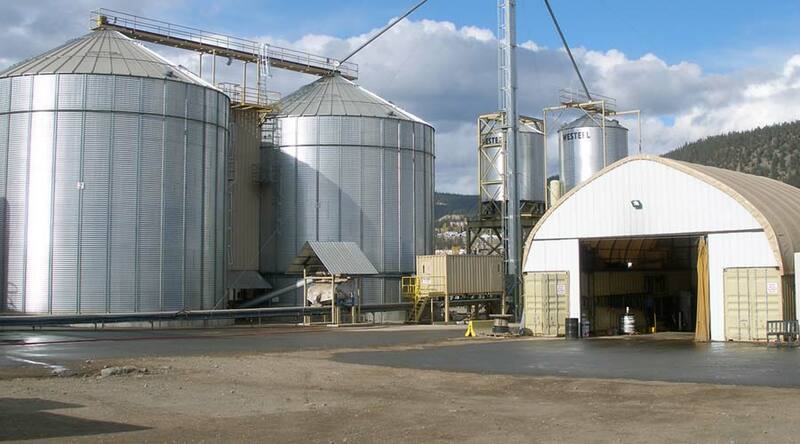 Its 250-plus employees produce about one and half million tons of wood pellets annually. Bassett explains how burning wood pellets for fuel is more environmentally friendly in a number of ways, when compared to coal and natural gas: “Coal-fired power stations are pretty old technology and probably the best efficiency that you’re going to get is 40 percent or thereabouts. That’s the amount of heat that you can generate by burning coal that can be turned into electrical power. The remainder is basically waste heat. Combined Cycle Gas technology is more efficient because it essentially puts the heat through the system twice, so you get more electricity out of it. You’re still, however, burning fossil fuel – material that has up until that moment been safely sequestered underground. The process of mining it is an activity that in itself burns a lot of fossil fuel. So does transporting it to the power station. Ultimately, in burning it there’s no renewable ‘return circuit’ on fossil fuels. Once you’ve taken it out of the ground and you burn it, the carbon dioxide it produces just goes straight into the atmosphere. “Wood, on the other hand, can be thought about in much different and more renewable terms. This is because while the tree is growing from a little sapling into a mature plant, it has, all the while, been absorbing carbon dioxide from the atmosphere and giving off oxygen, in the process of photosynthesis. The carbon is stored in the tree’s molecular structure as wood. Once the tree reaches maturity, it’s no longer growing and no longer absorbing carbon dioxide from the atmosphere the way it did when it was younger. So, it’s helpful to chop that tree down and allow a younger tree to grow in its place in order to drive more carbon absorption from the atmosphere. “When you harvest a mature tree, half of that tree goes into the lumber industry and is sequestered safely in the form of housing or structural timber. This could be for the next two or three hundred years or however long the structure lasts. The other half of it was traditionally wasted and it’s that half that we now concern ourselves with because that’s our raw material for pellet fuel. WHO: Pinnacle Renewable Energy Inc.